Office size based on availability. We also might send you an email or two if you don’t mind. Meet our newest workspace, Bond 55 Broadway. Located in the bustling Financial District, just steps away from the Charging Bull and World Trade Center PATH station, Bond 55 Broadway brings together flexibility and sleek design into your next workspace. Led by our in-house design team, Bond 55 Broadway was curated at the intersection of sleek minimalism and the coziness of a boutique hotel. We offer a variety of different memberships including traditional coworking, private suites and day passes (more into that later). We are so proud to unveil our latest space and want to share the exciting all of the details about what Bond 55 Broadway has to offer. Since 2013, Bond Collective has been hard at work developing the best designed and flexible workspaces in New York and Brooklyn. Through our evolution, we have grown and shifted into a fully hospitality-driven brand. Bond 55 Broadway is the perfect example of our ideas coming to life. 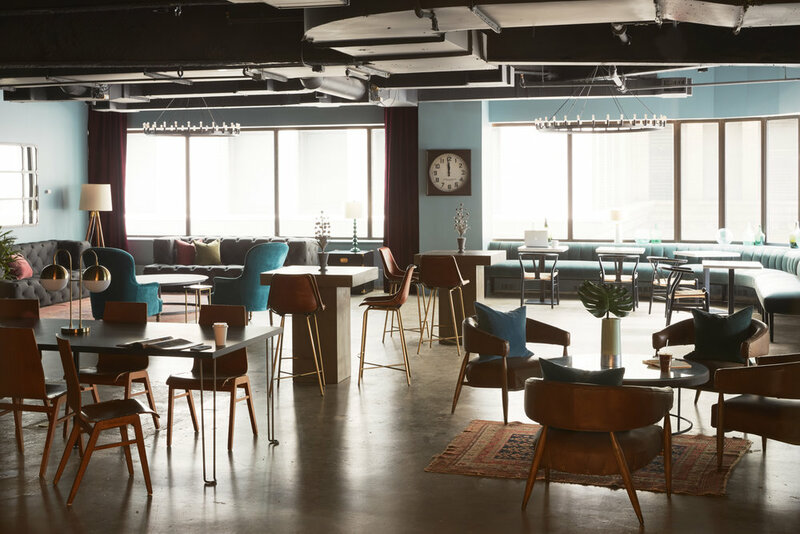 The space features common areas with custom designer furniture, luxe fabrics & old world finishes, private offices, versatile breakout spaces, and a state-of-the-art kitchen. Along with a physically spectacular work environment, we also have industry leading amenities: 24/7 access, insanely fast wifi, curated events, unlimited printing, lactation rooms, pet friendly, unlimited beer and coffee, mail and packaging handling, and more! Nestled between the New York Stock Exchange and Battery Park, 55 Broadway provides incredible access to Midtown, Brooklyn, and New Jersey via ample and accessible subway lines. That means easy access via the 1 2 3 4 5, J Z, and N R W trains. 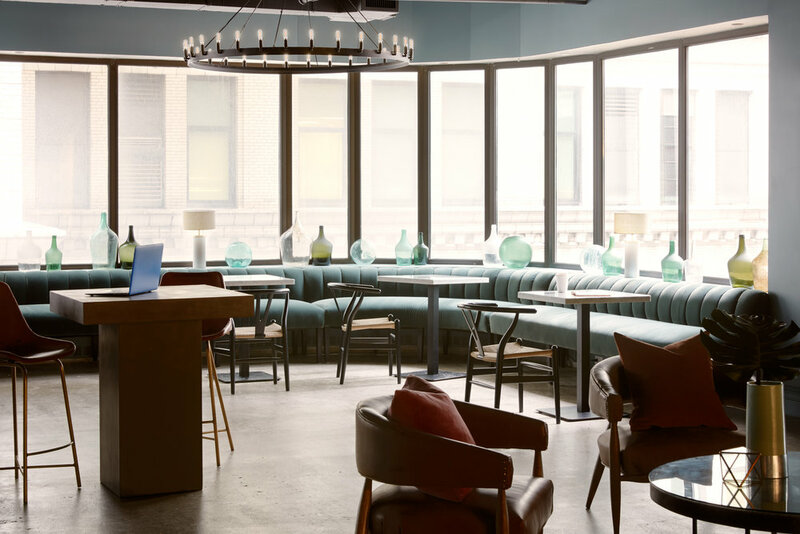 Just a quick walk to the social mecca of Stone Street or a scenic stroll over the Brooklyn Bridge, this location lies at the epicenter of Manhattan's energy, history, and future. Now! Joining Bond 55 Broadway allows the rare opportunity to be an original member of the space. Differing from other coworking brands, the Bond Collective community will be driven by you. 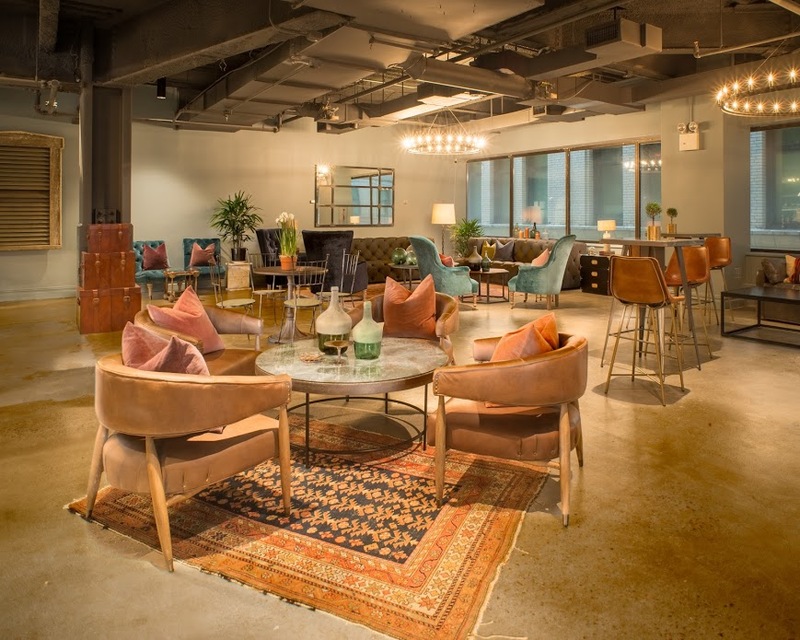 The community team of 55 Broadway caters the event content and community feel around members in the space. To celebrate the launch of this space, we will be kicking off the community creation with an opening event on May 31st (RSVP above). There has never been a better time to work in the Financial District. In the last ten years the neighborhood has undergone a metamorphosis, and it is no longer just for bankers (although we love all industries!) There are ample restaurants and bars, in addition to historical sites throughout the entire neighborhood. The openings of Occulus, One World Trade Center, the Fulton Transit Hub, and Brookfield Place have added amazing new points of interest. 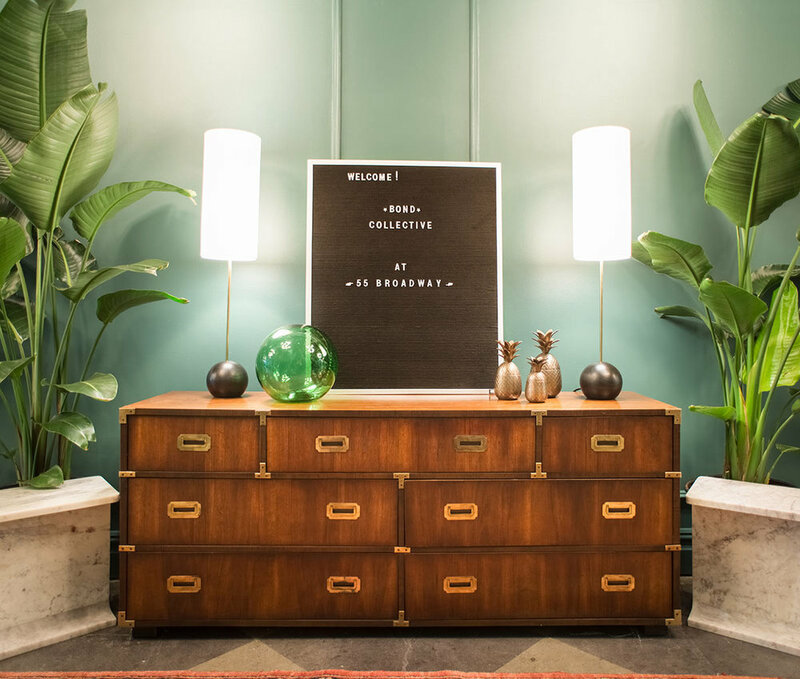 Businesses like Conde Naste, Gilt, and Dwell Magazine have moved their headquarters down to the Financial District, creating a new creative mecca in the city. Now it’s time to see the space for yourself! We are officially launching Bond 55 Broadway on Wednesday, 5/31 with cocktails, personalized tours and light bites. Our Bond Collective staff will be on site to show you around the space and answer any questions. RSVP below. Hope to see you there! 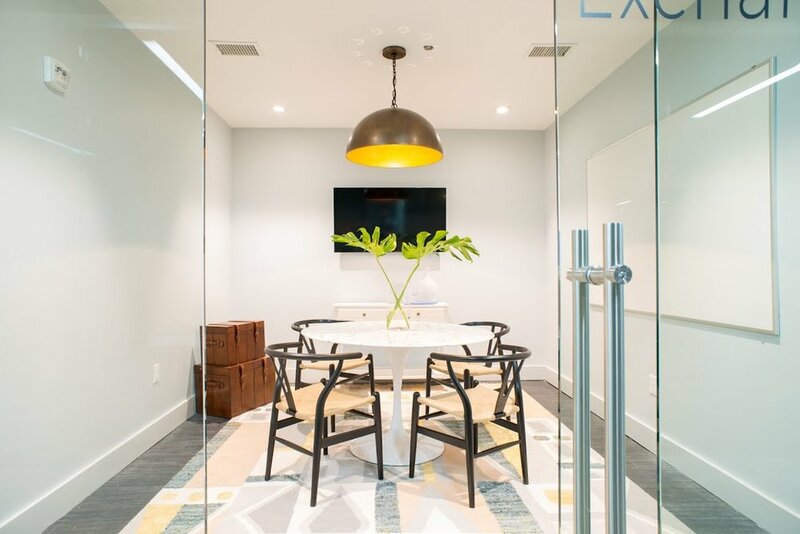 60 Broad is equipped with 6 conference rooms which all have the latest technology and can be the perfect room to close that big business deal. All the Conference Rooms at Bond 55 Broadway are available to both members & non-members. Nestled between the New York Stock Exchange and Battery Park, 55 Broadway provides incredible access to Midtown, Brooklyn, and New Jersey via ample and and accessible subway lines. Just a quick walk to the social mecca of Stone Street or a scenic stroll over the Brooklyn Bridge, this location lies at the epicenter of Manhattan's energy, history, and future. That means easy access via the 1 2 3 4 5, J Z, and N R W trains. Carly moved from rural Pennsylvania to New York five years ago and began working in the media/public relations field taking on event planning and media consulting. She followed her love for real estate, venue management and hospitality all the way to our Bond Collective Flatiron location. Carly's experience in the public relations industry ignited a relentless drive and passion for working with others, which she brings everyday to the Bond Collective Flatiron community. In her spare time, Carly enjoys trying new restaurants, running around the city with her adorable Dapple Dachshund Winston and traveling to new areas of the world.